Techguy is recognized as one of the leading information technology and computer consulting firms in Utah. With specialists in Windows, Macintosh, and Linux environments, we are equipped to handle any situation that may arise. We offer a variety of services and solutions that are scalable and customizable to fit the specific needs of any size business. We also believe in continually learning about emerging technologies and expanding our expertise to keep up with the growing demands of modern businesses. Email hosting. Web hosting. Computer repair Salt Lake. IT consulting Salt Lake. Computer consulting Salt Lake. Networking network administration. Internet connection. Wireless internet. Off site backup. Remote backup. 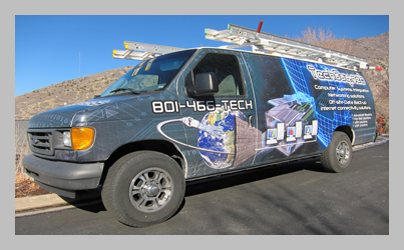 VOIP phone service Salt Lake. Network firewall computer service.